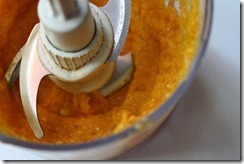 Actually, it’s just the sauce that is orange colored, and the dish happens to be homemade and deliciously hassle free. 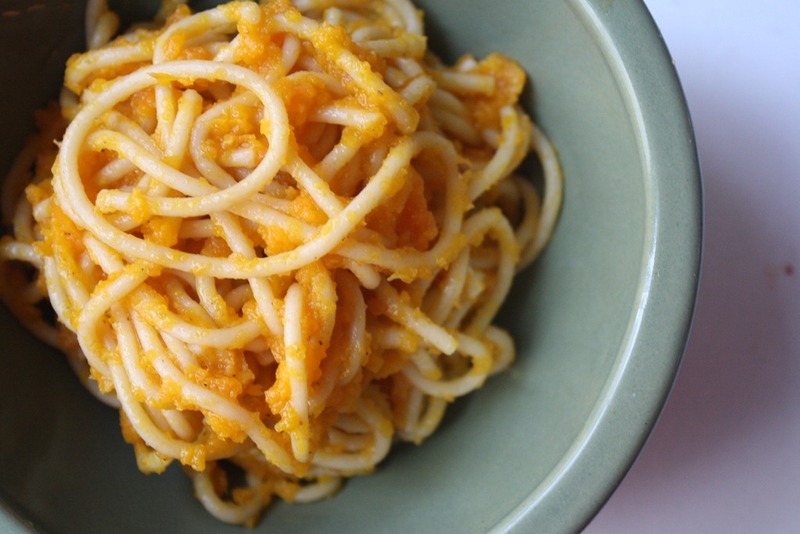 For a zestier, more lunch-apropos spaghetti sauce than a traditional marinara, this warm carrot ginger sauce is absolutely ideal. 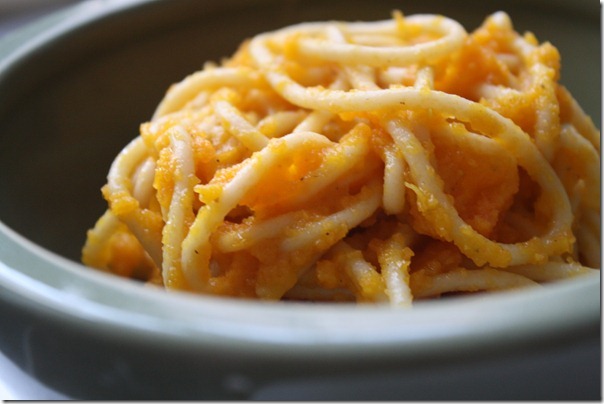 The result is a sweeter sauce that doesn’t weigh you down like the marinara would. 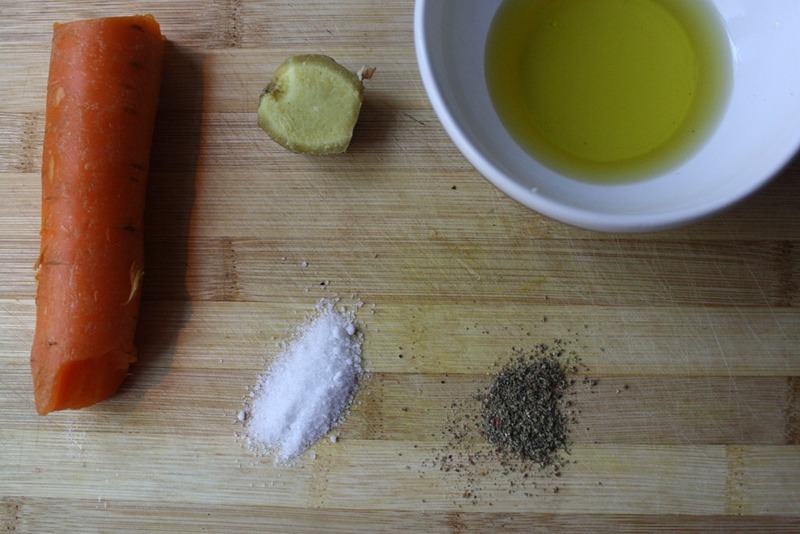 The ginger is an added kick to your step that the carbs alone couldn’t accomplish. 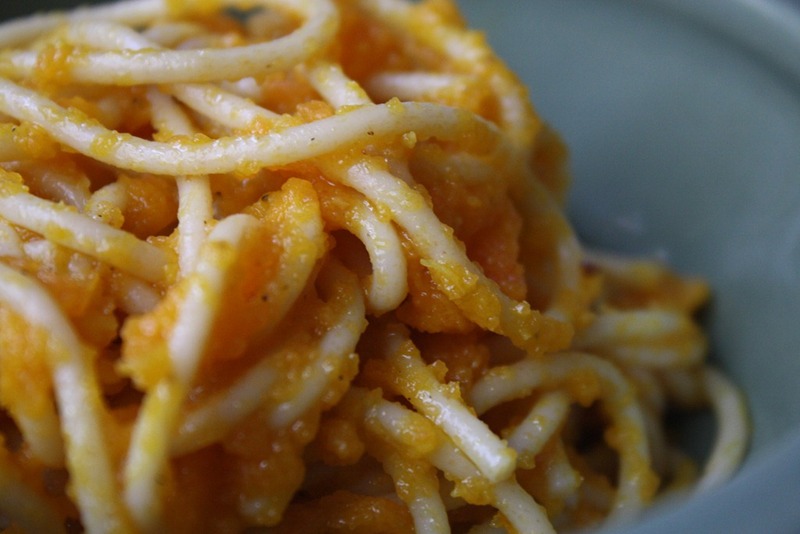 Yes, marinara sauce is arguably equally light and healthy. It is only tomatoes and veggies after all. But, did you know that tomatoes, especially when cooked, are particularly acid and clash with the starches inherent in spaghetti during digestion? This is why a spaghetti meal feels particularly heavy – to say nothing of the carbohydrate overload. 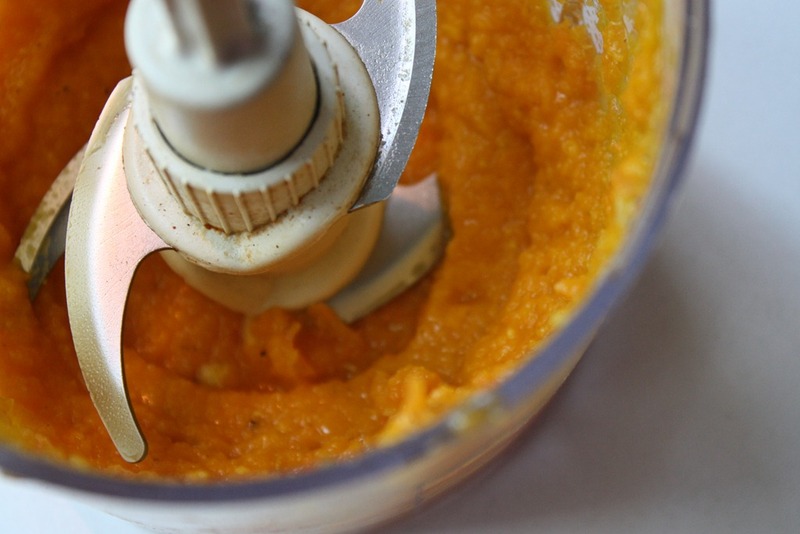 This carrot sauce doesn’t pose the same obstacle during digestion and is thus a wonderful alternative for a quick energy boost mid-day. And, it tastes great in its own right. Prior to food processing the ingredients into a sauce, boil the medium-sized carrot in water until tender. It should only take as long as it does to cook the spaghetti according to package instructions. 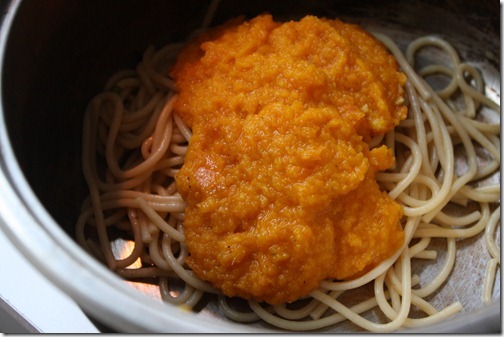 So, for efficiency’s sake, I just boiled the carrot in the water with the spaghetti. Did I mention this is the lazy man’s blog? 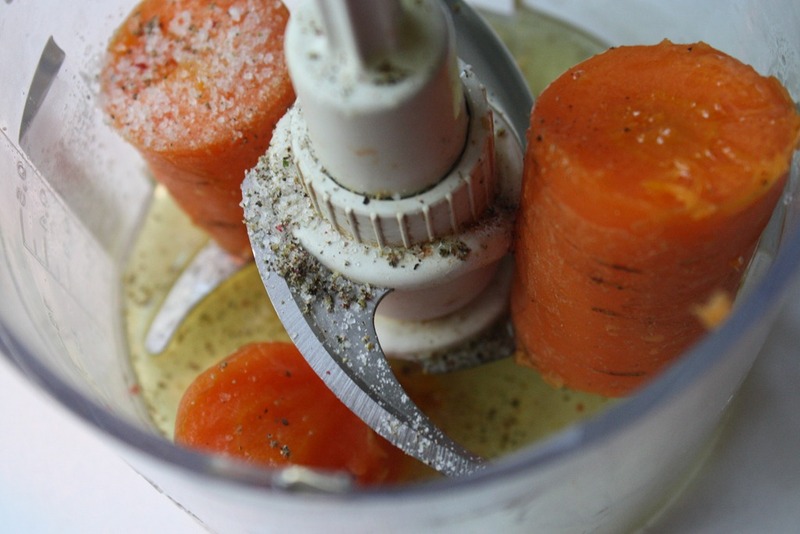 Combine the boiled carrot, fresh ginger, salt and pepper and extra-virgin olive oil in a food processor and process until smooth. 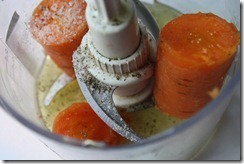 The mixture will be warm due to the boiled carrot. Toss the sauce with the spaghetti. Depending on how you like your sauce:spaghetti ratio, adjust the amounts of each. 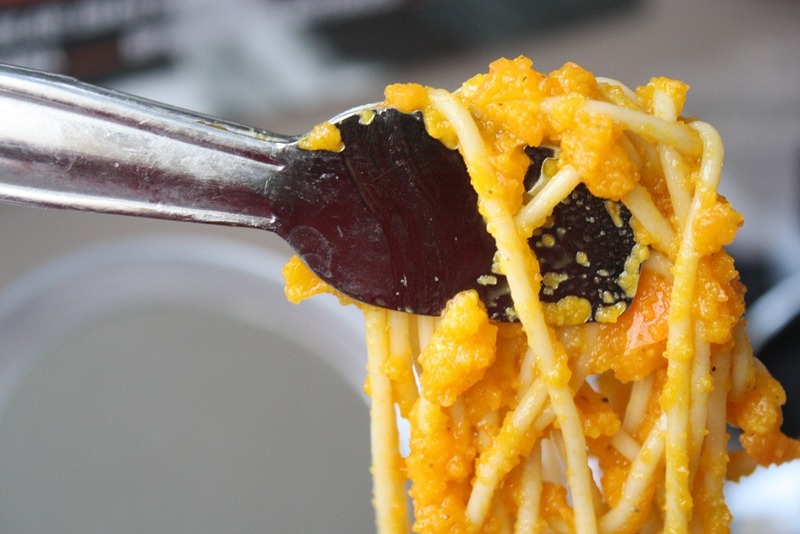 I like my sauce to almost just overwhelm the spaghetti. This entry was tagged carrot, ginger, lunch, olive oil, spaghetti, vegan, vegetarian. Bookmark the permalink.